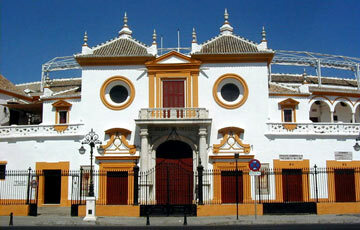 La Real Maestranza Stierkampfarena, Sevilla - Andalusien, Spanien. Sevilla online ES · La Real Maestranza Stierkampfarena, Sevilla - Andalusien, Spanien. It took more than a century to build La Real Maestranza of Seville, the oldest and on of the most significant bullrings of Spain.